Find hotel near Winkeliersvereniging De T .. 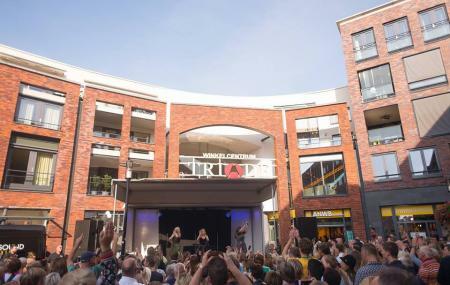 The list of things to do in Assen is incomplete without the mention of Winkelcentrum De Triade. A place that the ladies will not want to leave, this shopping mall is where you choose from a diverse range of souvenirs to take back home. Irrespective of the weather you can enjoy a cherishing shopping rendezvous here owing to its being as a partially covered shopping complex. Along with day to day essentials, what you must look forward to here are some fabulous shops serving authentic as well as regional food. Caffe Pranzo is popular for its delicious Italian coffee and thus beckons a visit! Just grab a cuppa and get around the place as you shop till you drop. How popular is Winkeliersvereniging De Triade? People normally club together Kings And Queens and Asser Bowling Center while planning their visit to Winkeliersvereniging De Triade.